Institutions whose goal is to help those at the margins have been a feature of social life for centuries. Today, instead of excluding and stigmatizing, social assistance institutions have integration and encouragement as their goal. 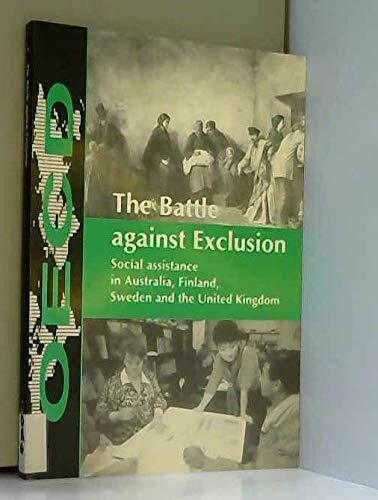 This book examines how four countries with similar per capita incomes - but very different systems of social protection - seek to combat poverty and promote reintegration into society. The ways in which young people, the long-term unemployed, lone-parent families, and immigrants and asylum seekers are helped receive particular attention. It analyzes the often complex interaction between the cash benefit system, central and local government responsibilities and the roles of non-governmental organizations, giving particular attention to how barriers and disincentives to employment can be overcome.